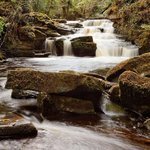 The River Barrow rises at Glenbarrow in the Slieve Bloom mountains in Co Laois, Ireland, flows south through Co Carlow and enters the sea at Waterford Harbour. At 192km long, it is the second longest river in Ireland. The Barrow, which is fully navigable, links with the Grand Canal at Athy making it a major part of Ireland’s inland waterway network. It was first proposed in 1703 to make the River Barrow navigable. However it was not until 1785 that the first boats were able to travel upstream to the Grand Canal. By then seven locks had been installed but, because it was too shallow, only relatively small boats could navigate the river. The project was not economically viable. A meeting of subscribers to the Barrow Navigation was held in the Courthouse in Carlow in 1788. A new report in 1789 indicated that the Barrow navigation project could become viable with the building of extra locks and the construction of lateral canals. Eventually twenty three locks were built and some of the existing ones were widened. Five lateral canals with a total length of almost 18km were constructed to bypass the shallow areas. The last lock and bypass canal were built at Clogrennan near Carlow in 1836. Boats carrying up to thirty tons could now navigate the river. The opening of the Barrow canal had for time a significant impact on the development of towns along its route. Trade increased from 16,000 tons in 1790 to almost 60,000 tons by 1830. However from 1850 onwards competition from the railways led to a decline in traffic and the Barrow Navigation was bought by the Grand Canal Company in 1894. 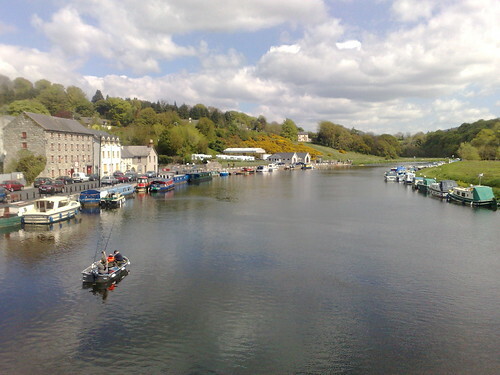 The canal continued to be used for commercial traffic until 1959 when it was closed by Ireland’s Transport Company (Coras Iompar Eirann) in 1959. A meeting of subscribers to the Barrow Navigation was held in Carlow in the year 1788 On This Day.